Vehicles commonly park in the bike lane on the 1900 block of Fairmount Avenue in front of the Fine Wine & Good Spirits store. Craving a cold one after a long ride down the Schuylkill River Trail? You're in a good spot for the combo. VinePair – a website that provides guides to all things wine, beer and spirits – published its list of "The 5 Best U.S. Cities for Biking and Beer" Wednesday and Philadelphia landed a spot. We're not completely sure how the website compiled the list, but it makes sense. 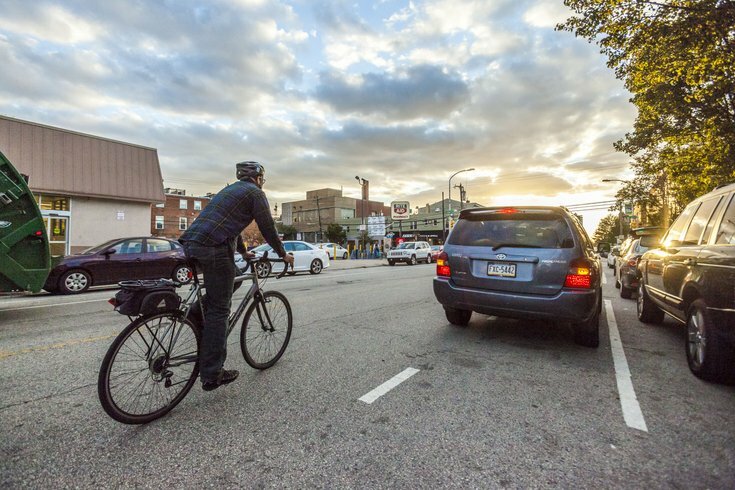 Philly has a growing population of cyclists and opened its first protected bike lane back in September – quite the stride for bikers and bike safety. Indego, which launched in April 2015, also reached 1 million rides in November. The City of Brotherly Love is also home to many local breweries, including Yards Brewing Co., Philadelphia Brewing Co., Tired Hands Brewing Co., Iron Hill Brewery and many more. Did you know Philly was the first city to start the Beer Week trend? Philadelphia has always been a beer city. It’s won a slew of beer-related accolades; it was voted one of 5 Best Beer Cities in America by GQ and named one of the 14 best beer cities in the world by Frommer’s. Bikes and Beers has organized awesome rides, giving the cyclist a chance to see a lot of Philly. They even have held brewery tour rides during Beer Week, held every June. Philly was also the only East Coast city to make the list. San Diego; Fort Collins, Colorado; Berkeley and Portland, Oregon, were named as the other best spots for beer and biking. Boise, Denver and Baltimore all received honorable mentions. Check out the complete list from VinePair here.